The day has arrived folks. The Moto 360 is finally with is in all it’s circular glory. Being the most anticipated smartwatch of the year, the Moto 360 does not disappoint in it’s specs. In fact, it’s specs were quite similar to the ones outed by Best Buy in it’s listing of the device. The Moto 360 comes with a 320 x 290, 1.56 inch circular display. This is powered by Texas Instruments OMAP 3 with 512 MB of RAM. Internal storage on the Moto 360 will be 4 GB. In addition to this, all the rumors about the Moto 360 featuring a heart rate sensor were correct as well. The device also comes with water resistance, courtesy of IP67. So with the Samsung Gear S and the LG G Watch R also being launched, it’s time for a specs showdown and in-depth comparison of the three smartwatches. While the Moto 360 does have the pleasure of being the only round smartwatch currently on the market, it will change soon with the G Watch R being released. Design wise, the Moto 360 is the first Android Wear device to have stuck to the traditional circular frame of watches. This changed with the LG G Watch R coming in the mix, however that does not mean that both the devices end up looking similar. While the Moto 360 sticks with a more traditional approach towards design, the LG G Watch R aims towards a more modern approach, with it’s circular frame having a numbered bezel and tilting more towards outdoor and sporty watches. The Samsung Gear S on the other hand looks towards setting a completely new trend in smartwatch design, with it’s display mimicking a miniature smartphone. Resolution wise, owing to it’s rectangular screen, the Samsung Gear S tops out at 360 x 480, Super-AMOLED 2.0 inch, capacitive touch screen. The LG G Watch R and the Moto 360 have a resolution of 360 x 360 and 360 x 290 respectively, with the screen size on the G Watch R being slightly lesser than the Moto 360 at 1.3 inches. 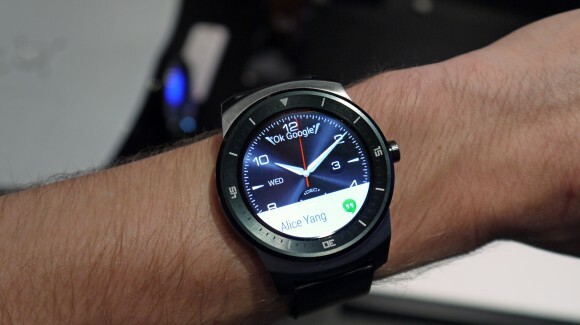 However, the G Watch R does utilize 100 percent of screen space, according to the company. The LG G Watch R comes with a Snapdragon 400 processor capable of achieving frequencies of up to 1.2 GHz and backed by 512 MB of RAM. The Samsung Gear S on the other hand has a dual core 1.0 GHz processor with similar 512 MB of RAM. The Moto 360, as rumored, pachs a Texas Instruments OMAP 3 processor similar to the one found on the MOTOACTV and capable of up to 1.2 GHz frequency. This comes with 512 MB of RAM. Performance wise, both the G Watch R and the Moto 360 are quite similar with equal processors. The Gear S lacks slightly behind though, but it’s not like you’re going to need to play Call of Duty on your smartwatch any way. Coming towards storage specifications, all three devices come with 4 GB of storage. So all three are on par in this segment. Now coming towards perhaps the most important aspect to look in a smartwatch after design. User experience is what most smartwatches should bank on, given that specs hungry users still have octa-core devices available. All three devices come with heart rate sensor. The Moto 360 seems to be the only device out there with a pedometer and an Ambient light sensor which will allow automatic adjustment of brightness. 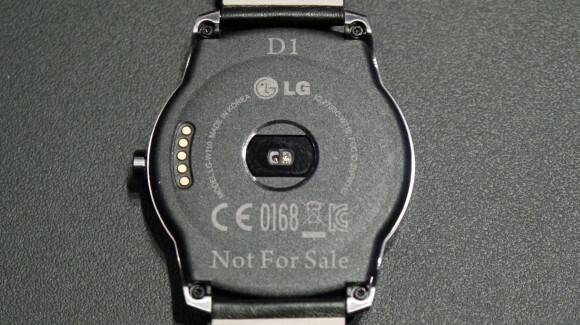 The LG G Watch R and the Samsung Galaxy Gear both come with gyro, accelerometer, compass and a barometer. 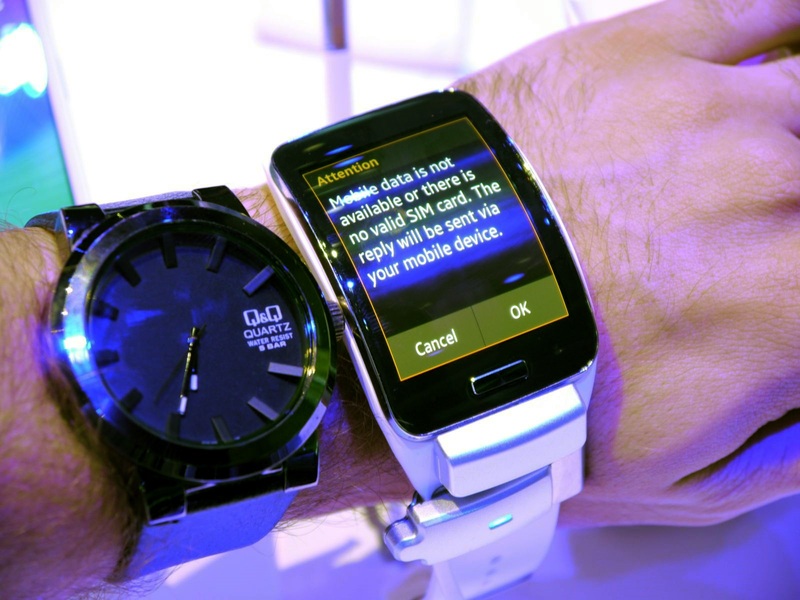 So for all of you who like to go camping, your G Watch R or Galaxy Gear can be relied on to be a solid companion. As long as the battery lasts however. As a footnote, All three devices are IP 67 certified, meaning you get dust and water resistance. Battery wise, the LG G Watch R is a beast. The device comes packing a 410 mAh battery which beats the others by a wide margin. The Moto 360 comes in second place with a battery capacity of 320 mAh. 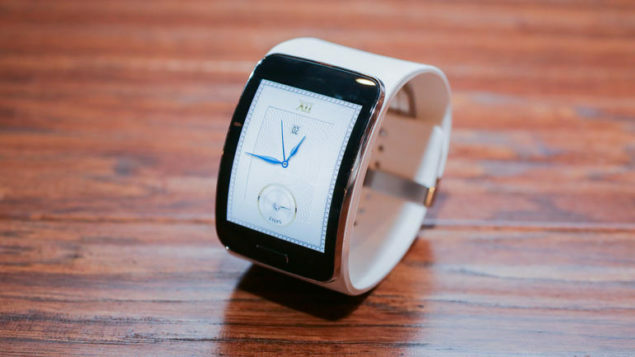 The Gear S has a battery of 300 mAh, putting in third place. Even though the G Watch R has a larger screen and more sensors than the Moto 360, the difference in battery capacities should be enough to turn anyone’s head. The Moto 360 is the only device bringing wireless charging to the mix. Both the Gear S and the G Watch R come with charging cradles sadly. Pricing details on both the G Watch R and the Gear S are not known as of yet. The Moto 360 however can be bought starting noon today with a price tag of $249 through Motorola, Best Buy and Google Play. 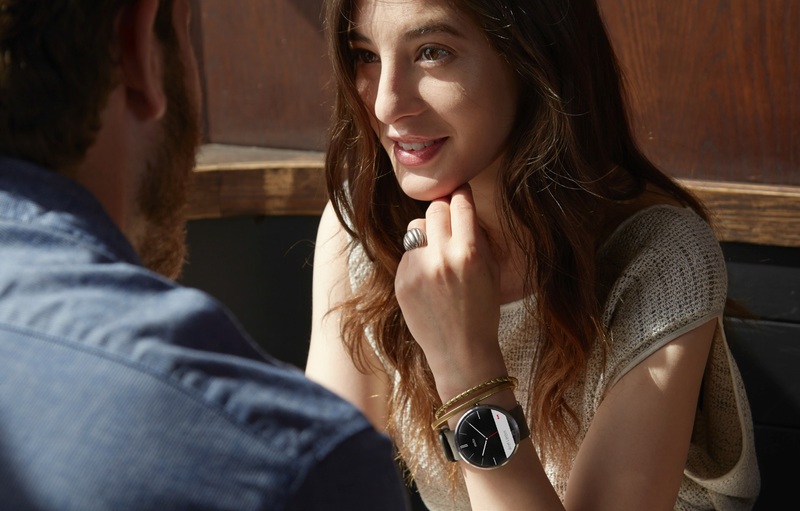 Currently you will be able to purchase the Moto 360 in black leather and a limited edition suede gray leather. Motorola is going to release metal versions of the Moto 360 later this year for $299. For those who purchase the Moto 360 today, an option will be able to purchase a metal band for $79. LG’g G watch R can be expected to have a price tag of somewhere between $300 – $400 and the Gear S has seen price estimates of $300. The Gear S on the other hand is for those who possess a dislike for traditional watch design and prefer more modern designs. The Moto 360 is the most balanced of the two, coming with a simplistic design and impressive features but lacking behind the heavy functionality offered by the G Watch R. So it’s between traditional, semi-traditional and completely modern. Go for the one that suits your requirement and style.